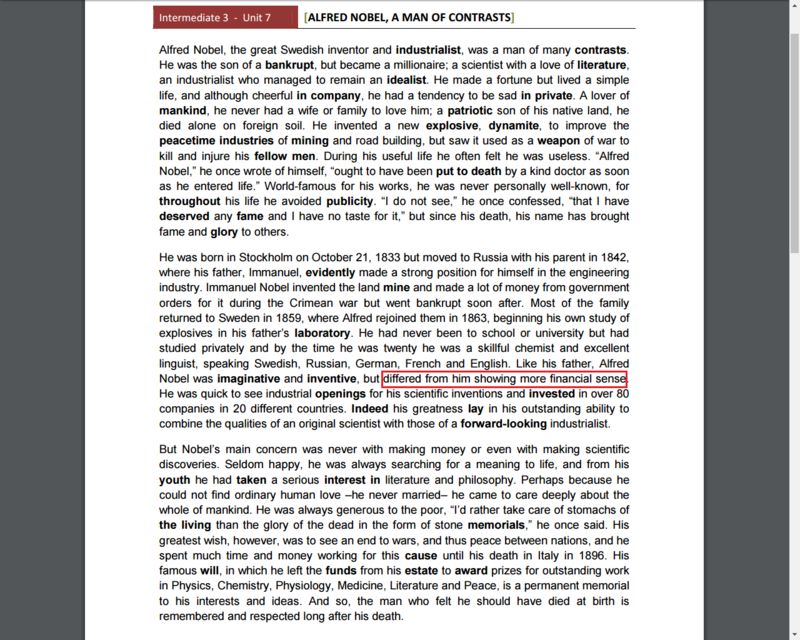 Like his father, Alfred Nobel was imaginative and inventive, but differed from him showing more financial sense. He was quick to see industrial openings for his scientific inventions and invested in over 80 companies in 20 different countries. I'd use "but differed from him in showing....". A comma wouldn't be my choice there because the sentence is already chopped into small pieces, so if I wanted to use a comma I'd have to re-write it a bit to get rid of at least one of the other commas. English used to use, as German still does, commas to separate clauses. But that's fallen out of style in 20th-c. English. meaning of “up from just over”? “worth it doing sth.” or “worth doing sth.”? It was a come-from-behind victory?